The viewing centres which are spread across the state are adequately secured and insured and are located at the Teslim Balogun Stadium, Surulere; Campos Mini Stadium, Lagos Island; Abesan playground, Alimosho; Naval Yard Ajegunle; Bishop Aggrey Youth Centre, Mushin and Epe Recreation Centre. However, the brewery company is also providing additional two viewing centres at Ikorodu Town Hall, Ikorodu and Badagry Grammar School, Badagry. 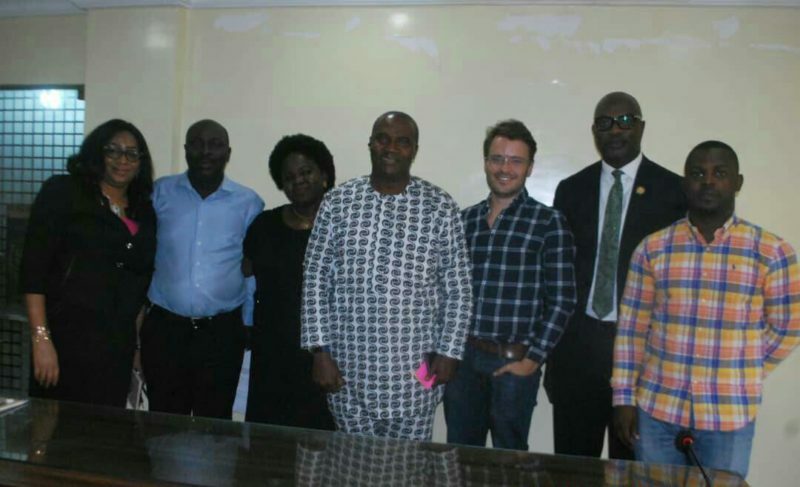 At a meeting with the Sports Commission’s Director-General, Babatunde Bank-Anthony on Wednesday, the Marketing Director, IB Plc for Nigeria and Ghana, Mr. Arne Rust, said the reason behind the bond was to promote oneness among the people in the state. “Our dream in Africa is to bring people together for a better world and I think that is what Lagos State Sports Commission is doing with these World Cup Viewing Centres where people from different backgrounds will come together to watch live matches of the World Cup and equally have fun and enjoy themselves. “At International Breweries, we play high premium on the welfare of the communities where we operate and we are always out to identify with coexistence of the people to make them happy,” Rust said.